Yesterday I and a few friends ended up at Sky Bar. 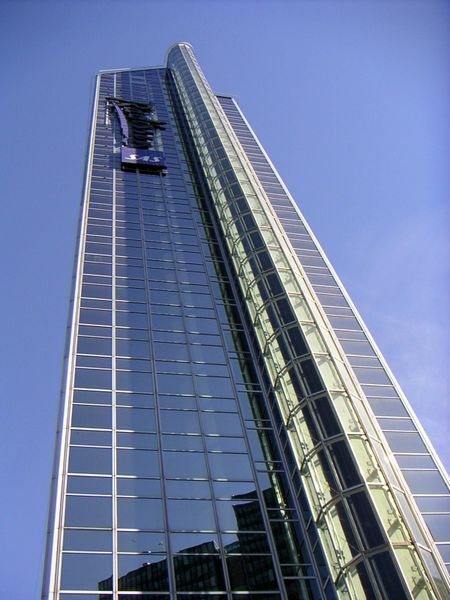 Located on 33rd floor at Radisson Blu Plaza Hotel, you have a fabulous view of Oslo. I have found that it is one of the best places to bring visitors from out of town. You descend and ascend the 34 floors in an outside glass elevator. A option for those of you with fear of heights is to take an inside elevator from the lobby and up to 32nd floor. From here you have to walk the stair up to the bar. From the Sky Bar you have a superb view of Oslo city centre, as you are on the top of the tallest building in town, even in Norway. Try visiting during the evening, when you can admire the countless city lights. Even I fell out of town when I sit there with a glass of sparkling wine. Here is a short film clip showing the view from 33rd floor of Radisson Blu Plaza Hotel.